Graveyards have always been a rather fascinating places for me. I grew up next door to our village church, so for me the graveyard was more often a place for exploration than a place to be scared of. Being inclined towards history and archaeology, the fascination of graveyards and the stories of the people in them, has been pretty hard to shake. 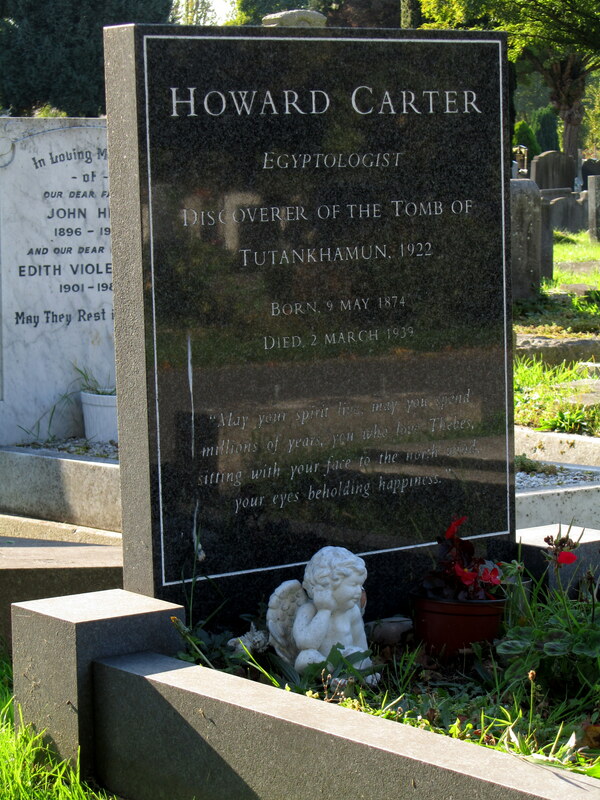 Earlier this year I visited Putney Vale Cemetery in Wandsworth, London in search of the grave of Howard Carter, one of my childhood heroes. He discovered Tutankhamun’s tomb in 1922 and was probably responsible for me pursuing a career in archaeology. I was pretty pleased to see his simple grave (and give it a bit of a weeding!). 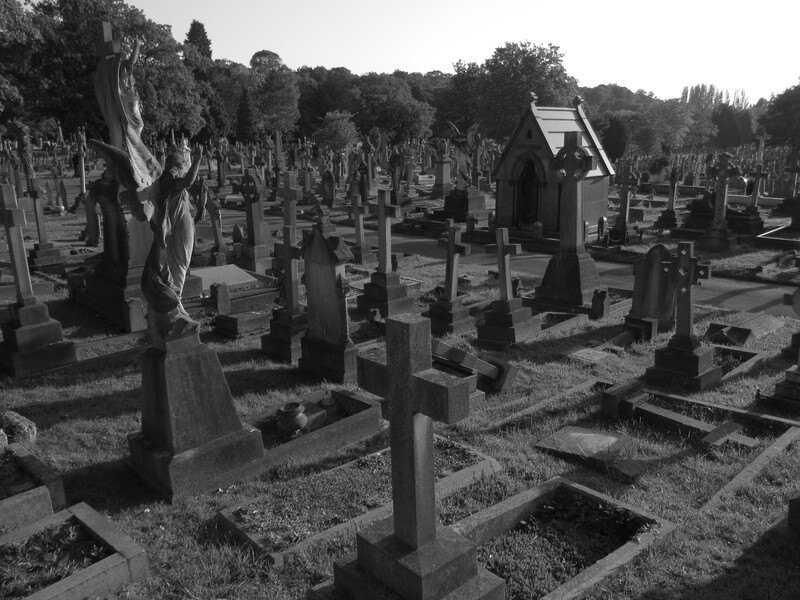 Putney Vale Cemetery was opened in 1891 and wandering around the acres of quiet surrounded by a bustling city it’s easy to slip into a contemplative frame of mind. 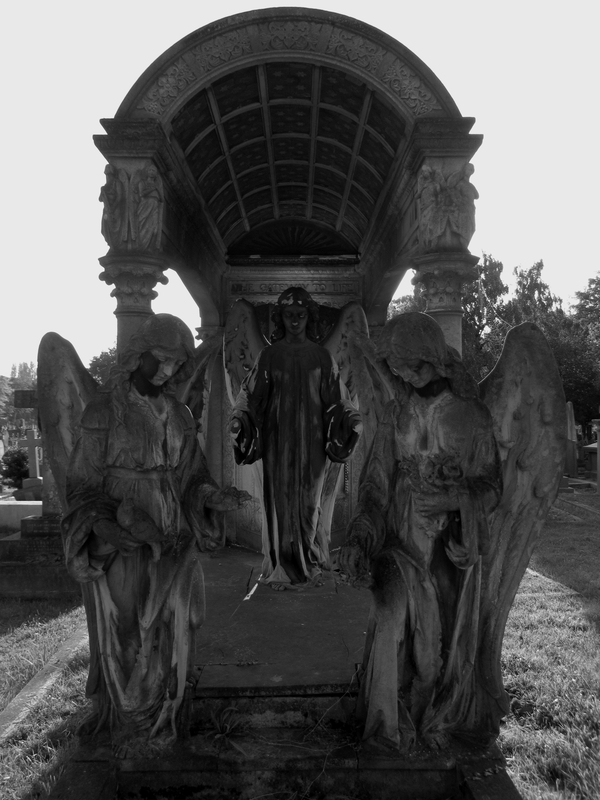 It’s also a perfect opportunity to take some photos of the beautiful gothic Victorian gravestones and statues. 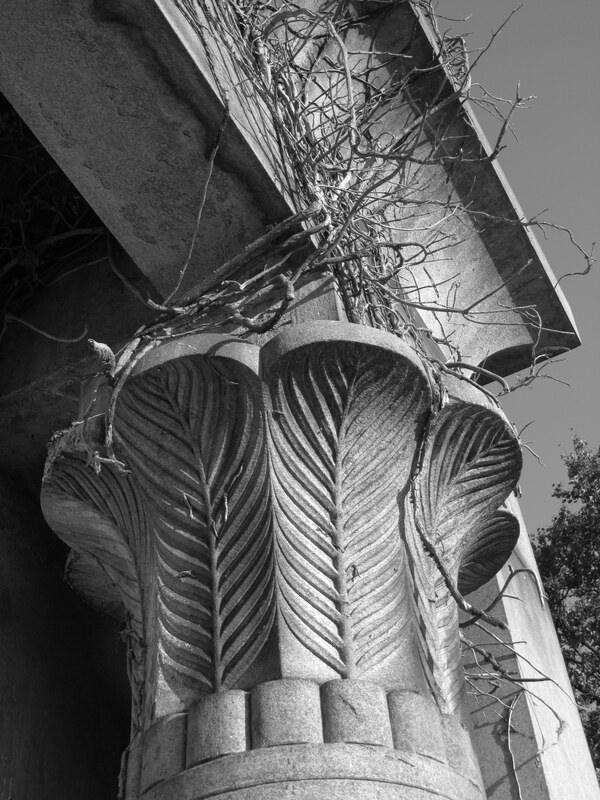 I chose to take a lot of the photos at Putney Vale in black and white to suit the surroundings and really pick out the detail in the stone carving. I particularly liked the contrast in this picture, the angels almost look like they’re stepping out of the picture. The sun was very strong, which caused a few white-sky problems for me, but also enabled me to pick out some fantastic details; like this cobweb in the sunlight. 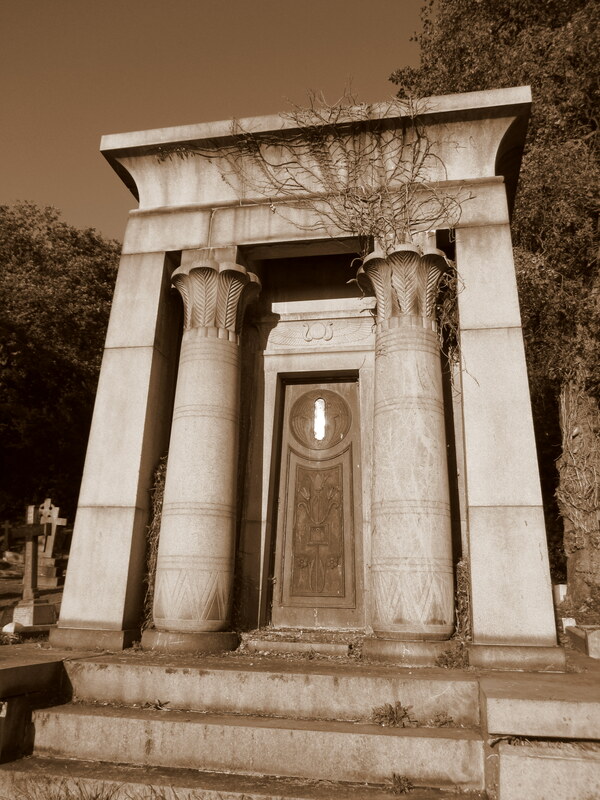 Not only is Putney Vale Cemetery home to the grave of an Egyptologist, it also had a spectacular Egyptian-style mausoleum. I couldn’t find any plaque showing what family the mausoleum belonged to, but it was a beautiful example of ancient Egyptian architecture. There was a carving of the winged sun disk over the bronze doorway, itself cast with lotus flowers. I loved the way the ivy had grown over it as if it was being subsumed back into the wilderness of the graveyard. It’s Colonel Alexander Gordon’s mausoleum. I love old graveyards. So creepy, so beautiful! Is Elizabeth Frances DARWIN nee Fraser (first wife of Leonard Darwin) buried here please?